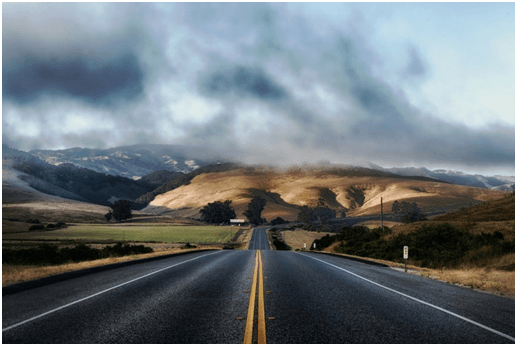 In my last article of this series we learnt about properties in c#. This article of the series “Diving into OOP” will explain all about indexers in C#, its uses and practical implementation. We’ll follow the same way of learning i.e. less theory and more practical. I’ll try to explain the concept in-depth. Like definition says, indexers allow us to leverage the capability of accessing the class objects as an array. I just created an object of Indexer class and tried to use that object as an array. Since actually it was not an array, it resulted as a compile time error. Here we just made a use of indexer to index my object of the class Indexer. Now my object can be used as an array to access different object values. calls the “set” accessor of “this” property i.e. an indexer therefore 50 becomes value and 1 becomes index of that value. In the above code snippet, I used get as well, to access the value of indexer. Properties and Indexers work on same set of rules. There is a bit difference on how we use them. When we do indexer that means “get” accessor is called, and when we assign some value to indexer that means “set” accessor is called. While implementing indexer code we have to take care that when we access indexer it is accessed in the form of a variable and that too an array parameter. The string parameter “indexValue” has a value “name”, like we passed in Main method of Program.cs. So one can have more than one indexers in a class deciding what should be the data type of the parameter value of array. An indexer, like properties follow same rules of inheritance and polymorphism. Like Properties and Methods, Indexers can also be declared in Interfaces. Here, an indexer is declared with an empty get and set accessor, that returns string values. In main method, we took Interface reference to create an object of IndexerClass, and we accessed that object array through indexer values like an array. It gives the names one by one. We here use override in indexer to override the abstract indexer declared in abstract class. We’ll use reference of abstract class to create an object of Indexer class. All of the above code is self-explanatory. You can explore more scenarios by yourself for more detailed understanding. In above example, we see that an indexer’s signature in actually count of actual parameters and data types irresepective of the names of the arguments/parameters or return value of the indexers. This allows us to overload indexers like we do in method overloading. You can read more about method over loading inhttp://www.codeproject.com/Articles/771455/Diving-in-OOP-Day-Polymorphism-and-Inheritance-Ear. Here now we have overloaded indexers that takes integer, string integer and string combined as actual parameters. Like methods cannot be overloaded on the base of return types, so indexers follow the same methodology of overload like methods do. Like indexers, we cannot overload properties. Properties are more like knowing by name and indexers on the other hand is more like knowing by signature. The error clearly indicates that an indexer cannot be marked static. An indexer can only be a class instance member but not static, on the other hane a property can be static too. Properties can be static but indexers cannot be. The example code taken above explains run time polymorphism and inheritance in indexers. I created a base class named IndexerBaseClass having an indexer with its own get and set like we discussed in prior examples. There after a derived class is created named IndexerDerivedClass, this derives from IndexerBaseClass and overrides “this” indexer from base class, note that base class indexer is marked virtual, so we can override it in derived class by marking it “override” in derived class.The example makes call to indexer of base class. Sometimes when we need to override code in derived class in the derived class, we may require the base class indexer should be called first. This is just a situation. The same rule of run time polymorphism applies here , we declare base class indexer and virtual and derived class one as override. In “set” accessor of derived class, we can call base class indexer as base[indexerValue]. Also this value is used to initialize the derived class indexer as well. So the value is stored in “value” keyword too. So, indexDerived in Main() method of Program.cs gets replaced to base in “set” accessor. Whereas In “get” accessor it is vice versa, we require to putbase[indexerValue] to right hand side of equal sign. The “get” accessor in base class returns a value, i.e. 100, which we get in dValue variable. Indexers play a crucial role in .NET framework. Indexers are widely used in .NET Framework inbuilt classes, libraries such as collections and enumerable. Indexers are used in collections that are searchable like Dictionary, Hashtable, List, Arraylist etc. Dictionary in C# largely uses indexers to have a staring parameter as an indexer argument. Classes like ArrayList and List use indexers internally to provide functionality of arrays for fetching and using the elements. Allows methods to be called as if they were public data members. Allows elements of an internal collection of an object to be accessed by using array notation on the object itself. Accessed through a simple name. Accessed through an index. Can be a static or an instance member. Must be an instance member. A get accessor of a property has no parameters. A get accessor of an indexer has the same formal parameter list as the indexer. A set accessor of a property contains the implicit value parameter. A set accessor of an indexer has the same formal parameter list as the indexer, and also to the value parameter. 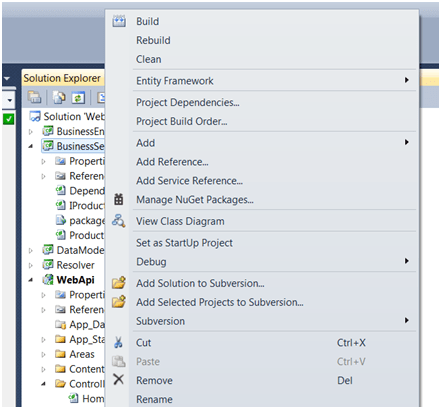 Supports shortened syntax with Auto-Implemented Properties (C# Programming Guide). Does not support shortened syntax. 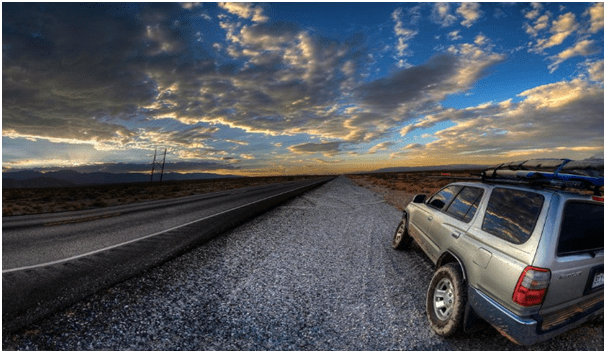 With this article we completed almost all the scenarios related to an indexer. We did a lot of hands-on lab to clear our concepts. I hope my readers now know by heart about these basic concepts and will never forget them. These may also help you in cracking C# interviews. 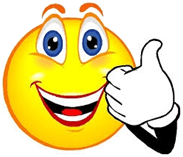 Also do not forget to rate/comment/like my article if it helped you by any means, this helps me to get motivated and encourages me to write more and more. My article of the series “Diving into OOP” will explain all about properties, its uses and indexers in C#. We’ll follow the same way of learning i.e. less theory and more practical. I’ll try to explain the concept in-depth. Being a C# programmer, I must say that properties are something a C# programmer is blessed to use in his code. If we analyze properties internals, they are very different from normal variables; properties are internally methods that do not have their own memory like variables have. We can leverage property to write our custom code whenever we access a property. We can access the code when we call/execute properties or at the time of declaration too, but this is not possible with variables. A property in easy language is a class member and is encapsulated and abstracted from the end developer who is accessing the property. A property can contain lots of code that an end user does not know. An end user only cares to use that property like a variable. Let’s start with some coding now. Note: Each and every code snippet in this article is tried and tested. Try to run/build the application, what do we get? In above example, we created a property named Name of type string. The error we got is very self-explanatory; it says a property must have an accessor, i.e. a get or a set. This means we need something in our property that gets accessed, whether to set the property value or get the property value, unlike variables, properties cannot be declared without an accessor. Let’s assign a get accessor to our property and try to access that property in Main method of program.cs file. It says “I am a Name property”. This signifies that our get successor got called when I tried to access the property or tried to fetch the value of a Property. Call the “Age” property in the same way as done for Name. It returns the correct age subjective to date of birth provided. Did you notince something here? Our property contains some code and logic to calculate age, but the caller i.e. Program.cs is not aware of the logic it only cares about using that Property. Therefore, we see that a property encapsulates and abstracts its functionality from the end user, in our case it’s a developer. Get accessor is only used to read a property value. A property having only “get” cannot be set with any value from the caller. This means a caller/end user can only access that property in read mode. In the above given example, I made few minor changes in get accessor, i.e. just printing that control is in “Get accessor” and introduced a “Set” in Age property too. Everything else remains same. Now when I call Name property, it works as was working earlier.Since we used “Set” so now we are allowed to set the value of a property. When I do properties.Age = 40; that means I am setting value 40 to that property. We can say a property can also be used to assign some value.In this case Set accessor is called, as soon as we set a value to property. Later on when we access that same property, again our get accessor gets called which returns value with some custom logic. We have a drawback here, as we see, whenever we call get we get the same vale and not the value that we assigned to that property i.e. because get has its custom fixed logic. Let’s try to overcome this situation. The example I am about to explain makes use of a private variable. But you can also use Automatic Properties to achieve same. I’ll purposely make use of variable to have a better understanding. Now you see, we get the same value that we assigned to Name and Age property .When we access these properties get accessor is called and it returns the same vale as we set them for. 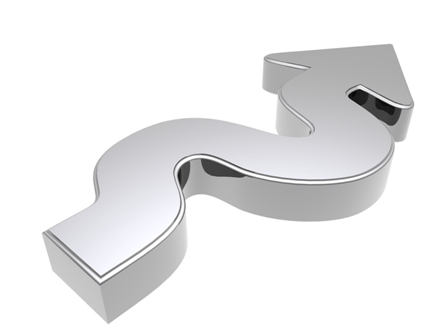 Here properties internally make use of local variable to hold and sustain the value. In day to day programming, we normally create a Public property that can be accessed outside the class. However the variable it is using internally could be a private. The variable used for property should be of same data type as the data type of the property. In our case we used variables, name and age, they share same datatype as their respective properties do. We don’t use variables as there might be scenarios in which we do not have control over those variables, end user can change them at any point of code without maintaining the change stack. Moreover one major use of properties is user can associate some logic or action when some change on the variable occurs, therefore when we use properties, we can easily track the value changes in variable. I hope now you know how to define a property and use it. A property can be made read-only by only providing the get accessor. We do not provide a set accessor, if we do not want our property to be initialized or to be set from outside the scope of class. But since they were marked read-only i.e. only with get accessor, we encountered a compile time error. A property can also be made write-only i.e. vice versa to read-only. In this case you’ll be only allowed to set the value of the property but can’t access it because we don’t have get accessor in it. That means we tried to call get accessor of property which is not defined, so we again ended up in a compile time error. Can we define properties as two different set of pieces? The answer is NO. Here I tried to create a single property segregated in two different accessor. Compile treats a property name as a single separate property, so we cannot define a property with two names having different accessor. Can we define properties same as an already defined variable? The answer is NO. Again, we cannot have a variable and a property with the same name. They may differ on the grounds of case sensitivity, but they cannot share a same common name with the same case because at the time of accessing them, compiler may get confused that whether you are trying to access a property or a variable. It is a conception that variables are faster in execution that properties. I do not deny about this but this may not be true ion every case or can vary case to case. A property, like I explained internally executes a function/method whereas a variable uses/initializes memory when used. At times properties are not slower than variables as the property code is internally rewritten to memory access. In above example, I created a static Age property. When I tried to access it, you can see it is accessed via class name, like all static members are subjected to. So properties also inherit the static functionality like all c# members, no matter it is variable or a method. They’ll be accessed via class name only. A property cannot have a void return type. Here compiler understands “set” accessor as a method that returns void and takes a parameter to initialize the value. So set cannot be expected to return a value. We have a reserved keyword named value. This signifies that “value” is a reserved keyword here. So one cannot declare a variable named value in “set” accessor as it may give different meaning to already reserved keyword value. In above example, I just created a base class named “BaseClass” and defined an abstract property namedAbsproperty. Since the property is abstract it follows the rules of being abstract as well. I inherited my “Properties” class from BaseClass and given the body to that abstract property. Since the property was abstract I have to override it in my derived class to add functionality to it. 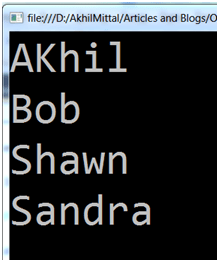 So I used override keyword in my derived class. In base class, abstract property has no body at all, neither for “get” and nor for “set”, so we have to implement both the accessor in our derived class, like shown in “Properties” class. If one do not mark property defined in derived class as override, it will by default be considered as new. For more understanding follow http://www.codeproject.com/Articles/774578/Diving-in-OOP-Day-Polymorphism-and-Inheritance-Dyn article on new and override. In above lab example, I just removed “set” from AbsProperty in Base class. All the code remains same. Now here we are trying to override the set accessor too in derived class, that is missing in base class, therefore compiler will not allow you to override a successor that is not declared in base class, hence resulted into a compile time error. You cannot override an accessor that is not defined in a base class abstract property. As you can see in above given code, in Properties.cs file I created two classes one is Base i.e.PropertiesBaseClass and second in Derived i.e. PropertiesDerivedClass. I purposely declared set accessor in Base class and get in Derived class for the same property name i.e. Age. Now this case may give you the feeling that when compiled, our code of property Age will become one, i.e. it will take set from Base class and get from derived class and combine it into a single entity of Age property.But this is practically not the case. The compiler treats both these properties differently, and does not consider them to be same. In this case the property in derived class actually hides the property in base class , they are not the same but independent properties.The same concept of method hiding applies here too. You can read about hiding inhttp://www.codeproject.com/Articles/774578/Diving-in-OOP-Day-Polymorphism-and-Inheritance-Dyn. To use the property of base class from a derived class object, you need to cast it to base class and then use it. but we cannot do pDerivedClass.Age = 10; because derived class property has no “set” accessor. Get accessor is only used to read a property value. A property having only get cannot be set with any value from the caller. In this article we learnt a lot about properties in c#. I hope you now understand properties well. In my next article I’ll explain all about indexers in C#. Security has always been a major concern we talk about enterprise level applications, especially when we talk about exposing our business through services. I have already explained a lot on WebAPI in my earlier articles of the series. I explained, how do we create a WebAPI, how to resolve dependencies to make it a loosely coupled design, defining custom routes, making use of attribute routing. 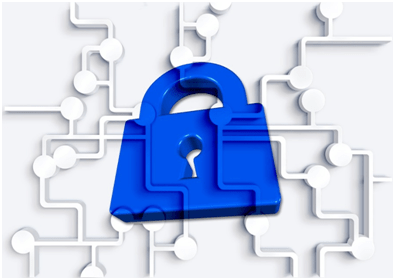 My article will explain how we can achieve security in a WebAPI. 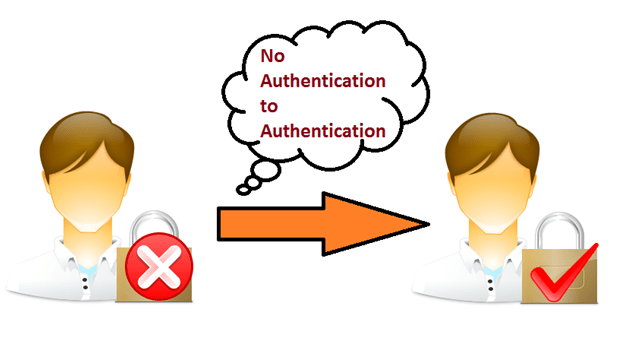 This article will explain how to make WebAPI secure using Basic Authentication and Token based authorization. I’ll also explain how we can leverage token based authorization and Basic authentication in WebAPI to maintain sessions in WebAPI. 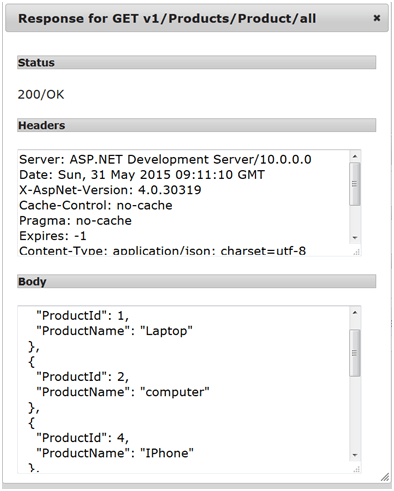 There is no standard way of achieving security in WebAPI. We can design our own security technique and structure which suits best to our application. Security in itself is very complicated and tricky topic. I’ll try to explain how we can achieve it in WebAPI in my own way. When we plan to create an enterprise level application, we especially want to take care of authentication and authorization. These are two techniques if used well makes our application secure, in our case makes our WebAPI more secure. Authentication is all about the identity of an end user. It’s about validating the identity of a user who is accessing our system, that he is authenticated enough to use our resources or not. Does that end user have valid credentials to log in our system? Credentials can be in the form of a user name and password. We’ll use Basic Authentication technique to understand how we can achieve authentication in WebAPI. Authorization should be considered as a second step after authentication to achieve security. 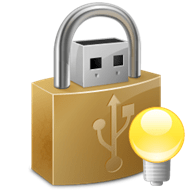 Authorization means what all permissions the authenticated user has to access web resources. Is allowed to access/ perform action on that resource? This could be achieved by setting roles and permissions for an end user who is authenticated, or can be achieved through providing a secure token, using which an end user can have access to other services or resources. RESTful services work on a stateless protocol i.e. HTTP. 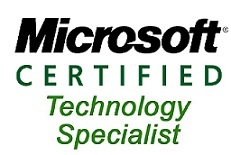 We can achieve maintaining session in Web API through token based authorization technique. An authenticated user will be allowed to access resources for a particular period of time, and can re-instantiate the request with an increased session time delta to access other resource or the same resource. Websites using WebAPIs as RESTful services may need to implement login/logout for a user, to maintain sessions for the user, to provide roles and permissions to their user, all these features could be achieved using basic authentication and token based authorization. I’ll explain this step by step. Basic authentication is a mechanism, where an end user gets authenticated through our service i.e. RESTful service with the help of plain credentials such as user name and password. 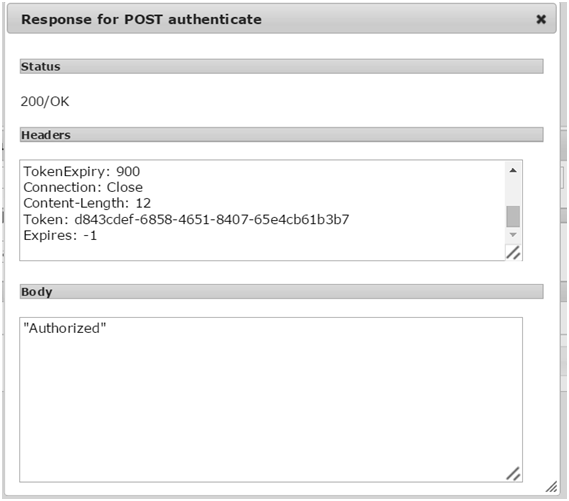 An end user makes a request to the service for authentication with user name and password embedded in request header. 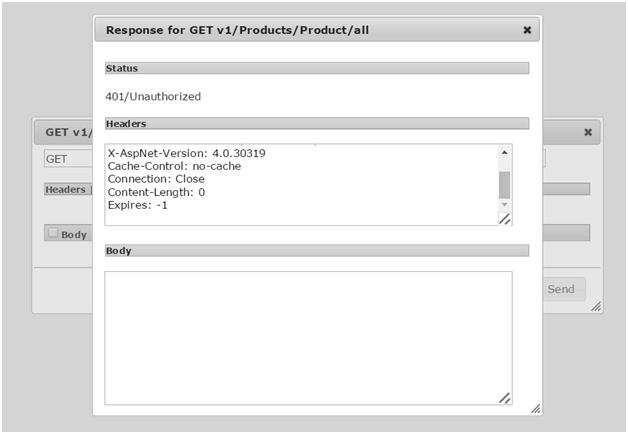 Service receives the request and checks if the credentials are valid or not, and returns the response accordingly, in case of invalid credentials, service responds with 401 error code i.e. unauthorized. The actual credentials through which comparison is don may lie in database , any config file like web.config or in the code itself. 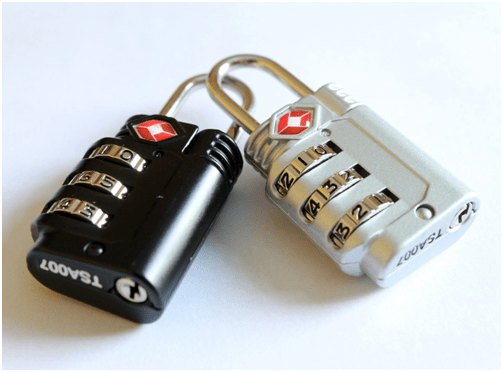 Basic authentication has its own pros and cons. It is advantageous when it comes to implementation, it is very easy to implement, it is nearly supported by all modern browsers and has become an authentication standard in RESTful / Web APIs. It has disadvantages like sending user credentials in plain text, sending user credentials inside request header, i.e. prone to hack. One have to send credentials each time a service is called. No session is maintained and a user cannot logout once logged in through basic authentication. It is very prone to CSRF (Cross Site Request Forgery). Authorization part comes just after authentication, once authenticated a service can send a token to an end user through which user can access other resources. The token could be any encrypted key, which only server/service understands and when it fetches the token from the request made by end user, it validates the token and authorizes user into the system. Token generated could be stored in a database or an external file as well i.e. we need to persist the token for future references. Token can have its own lifetime, and may expire accordingly. 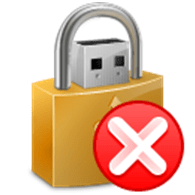 In that case user will again have to be authenticated into the system. 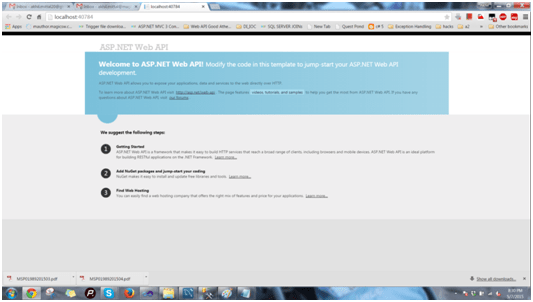 Just open your WebAPI project or the WebAPI project that we discussed in the last part of learning WebAPI. 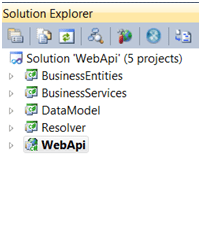 We have BusinessEntities, BusinessServices, DataModel, DependencyResolver and a WebApi project as well. 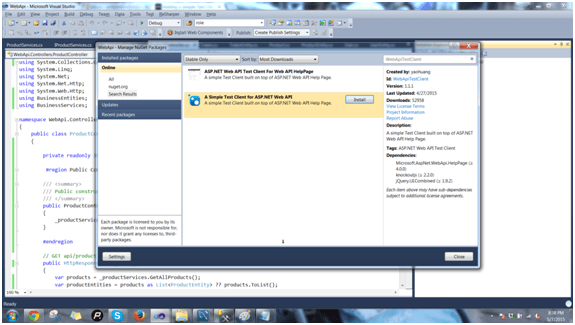 I am using WebAPI database, scripts I have attached for download. Just define one method named Authenticate in the interface. This method takes username and password as a parameter and returns particular userId if the user is authenticated successfully. /// Public method to authenticate user by user name and password. You can clearly see that Authenticate method just checks user credentials from UserRepository and returns the values accordingly. The code is very much self-explanatory. 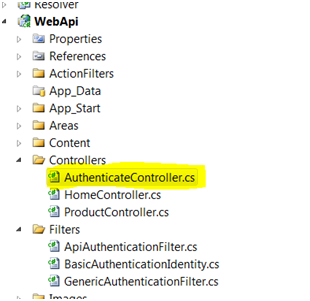 Add a folder named Filters to the WebAPI project and add a class named GenericAuthenticationFilter under that folder. 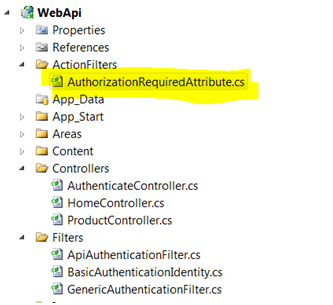 Derive that class from AuthorizationFilterAttribute, this is a class under System.Web.Http.Filters. /// parameter isActive explicitly enables/disables this filetr. /// Virtual method.Can be overriden with the custom Authorization. Since this is an AuthorizationFilter derived class, we need to override its methods to add our custom logic. Here “OnAuthorization” method is overridden to add a custom logic. Whenever we get ActionContext onOnAuthorization, we’ll check for its header, since we are pushing our service to followBasicAuthentication, the request headers should contain this information. I have used FetchAuthHeader to check the scheme, if it comes to be “Basic” and thereafter store the credentials i.e. user name and password in a form of an object of class BasicAuthenticationIdentity, therefore creating an identity out of valid credentials. I am expecting values to be encrypted using Base64 string; You can use your own encryption mechanism as well. 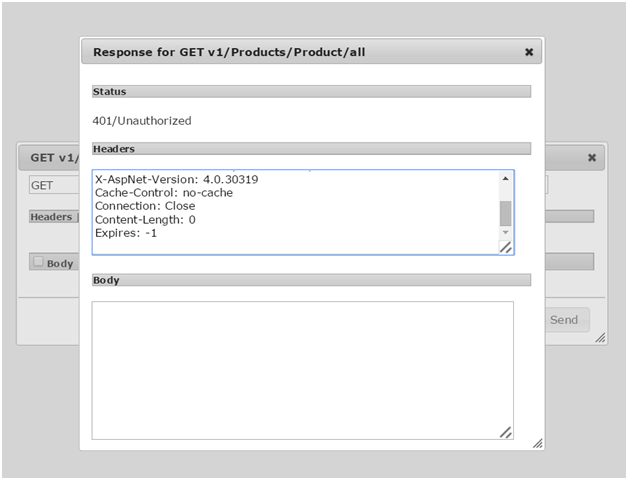 If no credentials is provided in the request, this generic authentication filter sets generic authentication principal to the current thread principal. Since we know the drawback that in basic authentication credentials are passed in a plain text, so it would be good if our service uses SSL for communication or message passing. We have an overridden constructor as well that allows to stop the default behavior of the filter by just passing in a parameter i.e. true or false. We can use OnAuthorizeUser for custom authorization purposes. Before we proceed further, we also need the BasicIdentity class, that takes hold of credentials and assigns it to Generic Principal. So just add one more class named BasicAuthenticationIdentity deriving fromGenericIdentity. 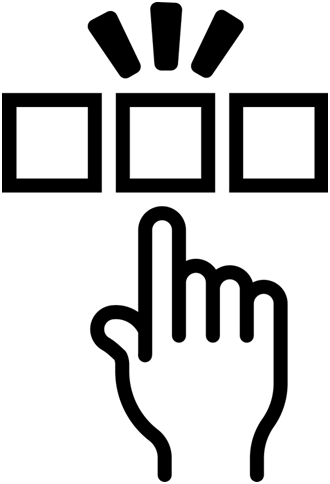 There are three ways in which you can use this authentication filter. I have already provided the database scripts and data in my previous article, you can use the same. This means our authentication mechanism is working. 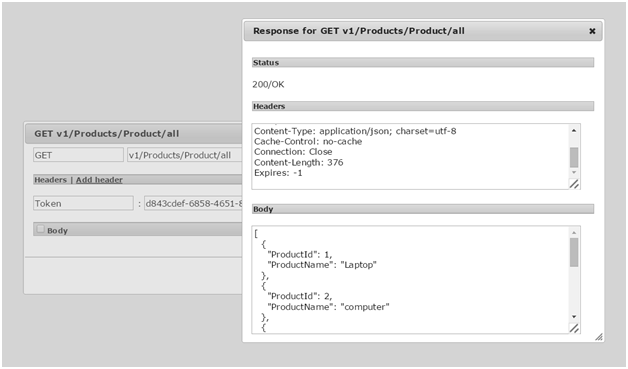 Likewise you can test all the service endpoints. This means our service is working with Basic Authentication. 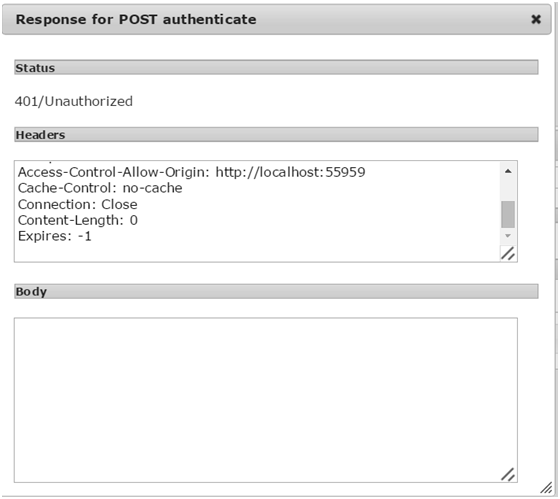 This design when running on SSL is very good for implementing Basic Authentication. But there are few scenarios in which, along with Basic Authentication I would like to leverage authorization too and not even authorization but sessions too. When we talk about creating an enterprise application, it just does not limit to securing our endpoint with authentication only. In this design, each time I’ll have to send user name and password with every request. Suppose I want to create such application, where authentication only occurs only once as my login is done and after successfully authenticated i.e. logging in I must be able to use other services of that application i.e. I am authorized now to use those services. Our application should be that robust that it restricts even authenticated user to use other services until he is not authorized. Yes I am talking about Token based authorization. I’ll expose only one endpoint for authentication and that will be my login service .So client only knows about that login service that needs credentials to get logged in to system. After client successfully logs in I’ll send a token that could be a GUID or an encrypted key by any xyz algorithm that I want when user makes request for any other services after login, should provide this token along with that request. To overcome above mentioned scenarios, let’s start developing and giving our application a shape of thick client enterprise architecture. ///  Function to generate unique token with expiry against the provided userId. ///  Also add a record in database for generated token. /// Function to validate token againt expiry and existance in database. /// Method to kill the provided token id. We have four methods defined in this interface. Let’s create TokenServices class which implementsITokenServices and understand each method. GenerateToken method takes userId as a parameter and generates a token, encapsulates that token in a token entity with Token expiry time and returns it to caller. 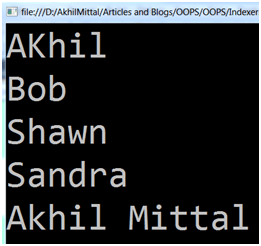 While generating token, it names a database entry into Token table. ValidateToken method just validates that the token associated with the request is valid or not i.e. it exists in the database within its expiry time limit. It just takes token Id supplied in the request. Kill Token just kills the token i.e. removes the token from database. DeleteByUserId method deletes all token entries from the database w.r.t particular userId associated with those tokens. 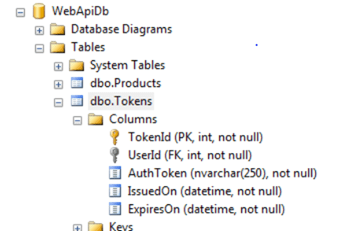 /// Method to validate token against expiry and existence in database. Do not forget to resolve the dependency of this Token service in DependencyResolver class. 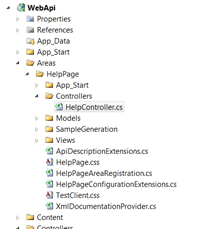 Add  registerComponent.RegisterType();  to the SetUp method of DependencyResolver class in BusinessServices project. Do not forget to resolve the dependency of this Token service in DependencyResolver class. 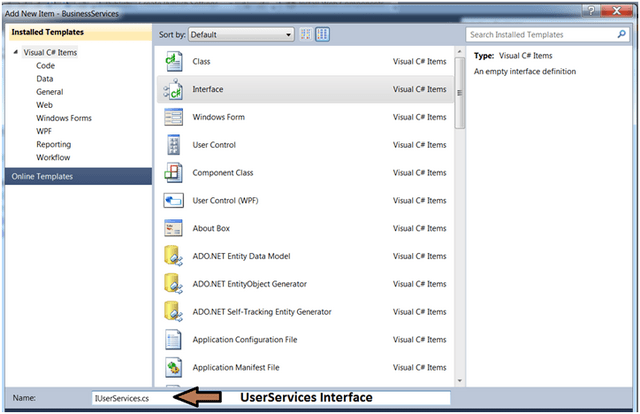 AddregisterComponent.RegisterType(); to the SetUp method ofDependencyResolver class in BusinessServices project. Now since we decided, that we don’t want authentication to be applied on each and every API exposed, I’ll create a single Controller/API endpoint that takes authentication or login request and makes use of Token Service to generate token and respond client/caller with a token that persists in database with expiry details. /// Authenticates user and returns token with expiry. /// Returns auth token for the validated user. So, each and every request coming through this controller will have to pass through this authentication filter, that check for BasicAuthentication header and credentials.Authentication filter sets CurrentThreadprincipal to the authenticated Identity. Now when you run this application, You’ll see Authenticate api as well, just invoke this api with Baisc Authentication and User credentials, you’ll get the token with expiry,let’s do this step by step. 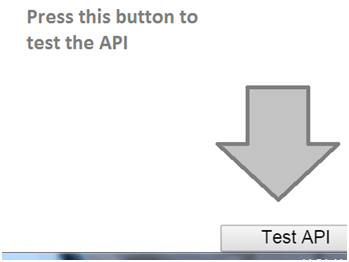 Press the TestAPI button in the right corner.In the test console, provide Header information with Authorization as Basic and user credentials in Base64 format, like we did earlier. Click on Send. Here we get response 200, i.e. our user is authenticated and logged into system. TokenExpiry in 900 i.e. 15 minutes. Note that the time difference between IssuedOn and ExpiresOn is 15 minutes, this we did in TokenServices class method GenerateToken, you can set the time as per your need. Token is 604653d8-eb21-495c-8efd-da50ef4e56d3. Now for 15 minutes we can use this token to call our other services. But before that we should mark our other services to understand this token and respond accordingly. Keep the generated token saved so that we can use it further in calling other services that I am about to explain. So let’s setup authorization on other services. We already have our Authentication filter in place and we don’t want to use it for authorization purposes. So we have to create a new Action Filter for authorization. This action filter will only recognize Token coming in requests. It assumes that, requests are already authenticated through our login channel, and now user is authorized/not authorized to use other services like Products in our case, there could be n number of other services too, which can use this authorization action filter. For request to get authorized, nbow we don’t have to pass user credentials. Only token(received from Authenticate controller after successful validation) needs to be passed through request. Override the OnActionExecuting method of ActionFilterAttribute, this is the way we define an action filter in API project. The overridden method checks for “Token” attribute in the Header of every request, if token is present, it callsValidateToken method from TokenServices to check if the token exists in the database. If token is valid, our request is navigated to the actual controller and action that we requested, else you’ll get an error message saying unauthorized. We have marked our controller with the action filter that we created, now every request coming to the actions of this controller will have to be passed through this ActionFilter, that checks for the token in request. You can mark other controllers as well with the same attribute, or you can do marking at action level as well. Supoose you want certain actions should be available to all users irrespective of their authorization then you can just mark only those actions which require authorization and leave other actions as they are like I explained in Step 4 of Implementing Basic Authentication. In above code for token validation, first we check if the requested token exists in the database and is not expired. We check expiry by comparing it with current date time. If it is valid token we just update the token into database with a new ExpiresOn time that is adding 900 seconds. By doing this we can allow end user or client to maintain session and keep using our services/application with a session timeout of 15 minutes. This approach can also be leveraged in multiple ways, like making different services with different session timeouts or many such conditions could be applied when we work on real time application using APIs. Our job is almost done. We just need to run the application and test if it is working fine or not. 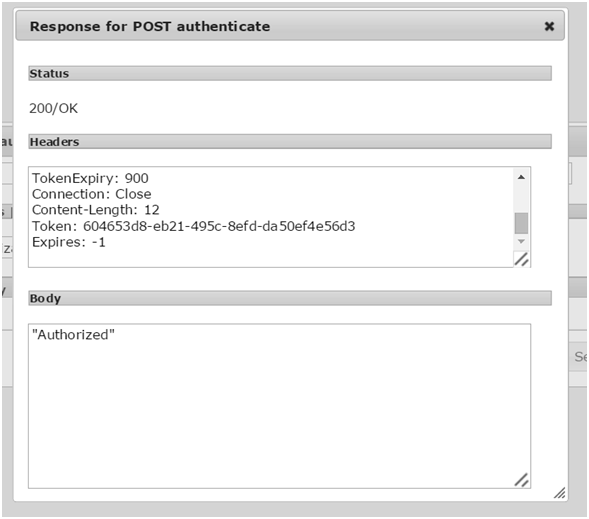 If you have saved the token you generated earlier while testing authentication you can use same to test authorization. I am just again running the whole cycle to test application. I just saved the token that I got in first request. 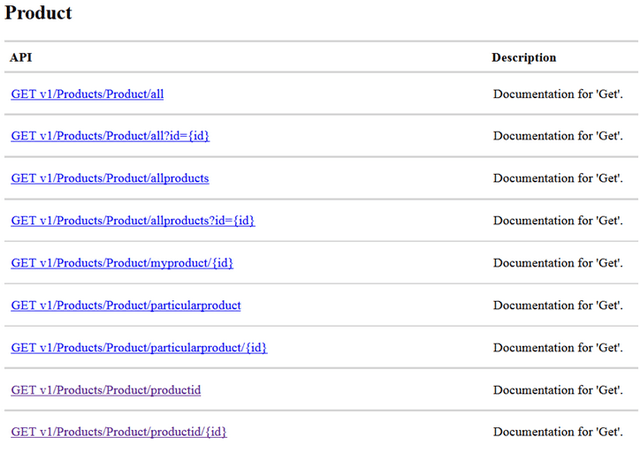 Now try to call ProductController actions. That means we got the response and our token was valid. Now we see our Authentication and Authorization, both functionalities are working fine. You can test Sessions by your own. Likewise you can test all actions. You can create other controllers and test the security, and play around with different set of permutations and combinations. We covered and learnt a lot. In this article I tried to explain about how we can build an API application with basic Authentication and Authorization. One can mould this concept to achieve the level of security needed. Like token generation mechanism could be customized as per one’s requirement. Two level of security could be implemented where authentication and authorization is needed for every service. One can also implement authorization on actions based on Roles. You can also download the complete source code with all packages from Github.